The free download has reduced functionality. 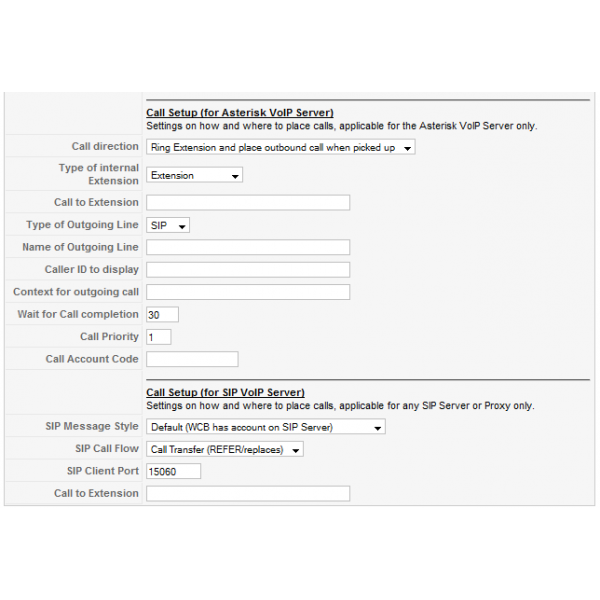 Web-Call-Back allows call-back from your website in combination with a VoIP-PBX system. This Commercial Unlimited License supports the Asterisk PBX and SIP compliant Servers or Proxies. 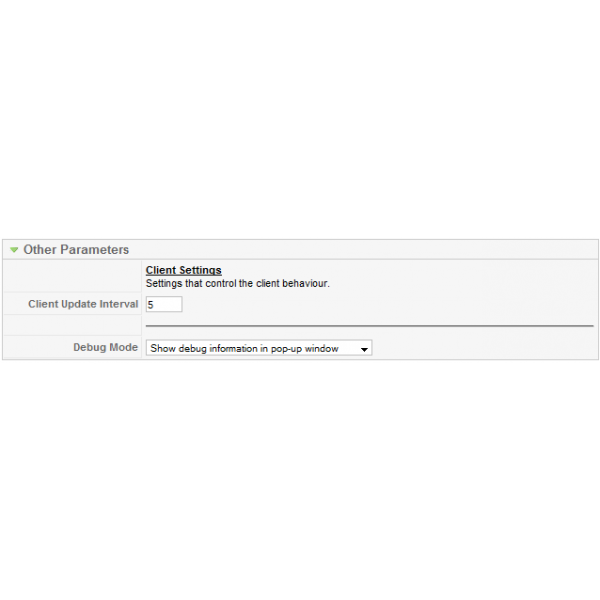 Web-Call-Back comprises a module allowing to perform a call back to a visitors provided phone number directly from your website. Bringing you and your visitors together is now made easier with Web-Call-Back. 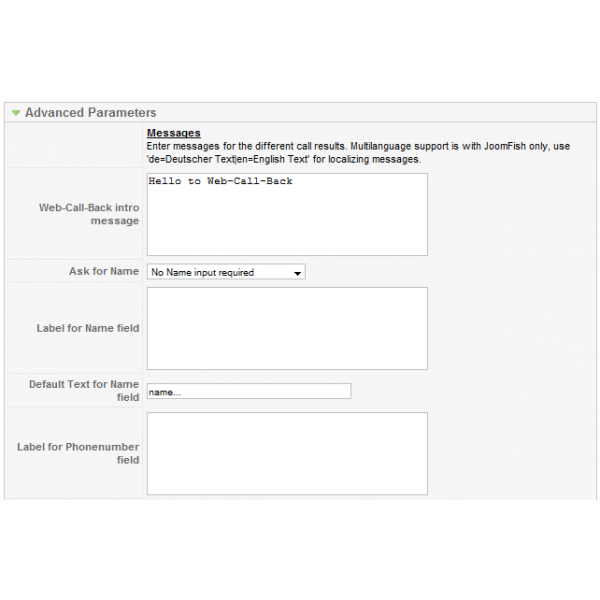 And the Web-Call-Back Plugin which creates clickable Call-Back links in your content by using Joomla! Content Tags. With this a content article may include a Call-Back link to the Extension defined in that link. Web-Call-Back allows to enter any international phone number and name of the person to call on the frontend. All messages for the Call-Back form and the status messages of the module are customizeable and multilingual. Date & Time rules allow to be defined to show the module only during office hours or any specified period of times. 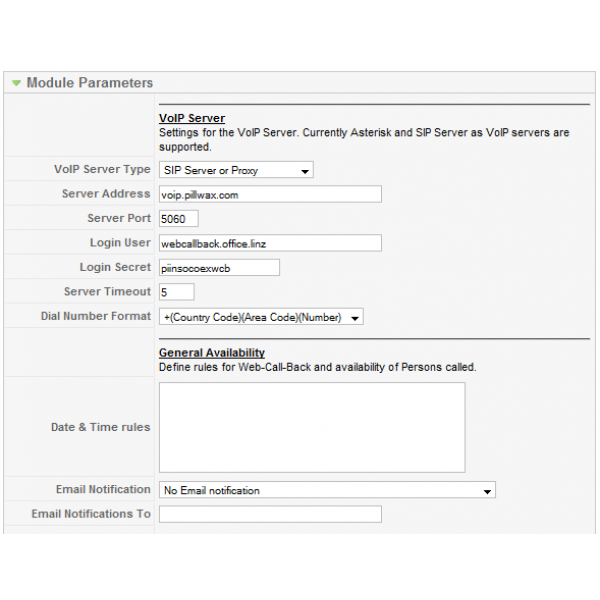 Show messages or hide the module when the internal extension or the VoIP system is offline and the call back is unable to get performed. 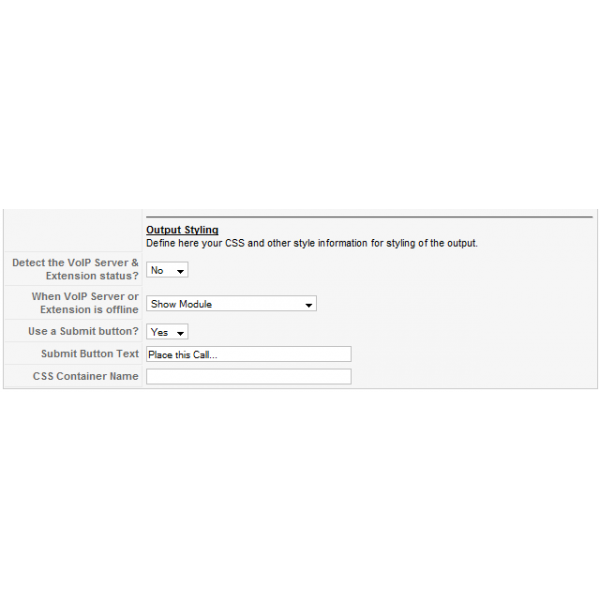 Additionally Web-Call-Back for Joomla! is able to send Email notifications on failed call requests or on all call requests for your records. This feature allows call tracking and to call back persons even when their initial call back request has been missed. For more details please visit the comprehensive documentation on Web-Call-Back available here on our Open Source Support Site.